I'm going to sidetrack from my typical way of waiting a few months then suddenly blogging about life in general and do something a little more intentional. I like using Pinterest. It helps me get to know some of my friends a little better, it's a good place to save and find ideas, and I've been using it for recipes since we moved in to the Barndominium (successfully!). I also save a lot of natural, home remedy, and homemade types of pins ... So recently it has been showing me a lot of "no-poo" pins. I'm just crunchy enough to know that no-poo doesn't have anything to do with constipation. It means not using commercial shampoo on your hair. In conjunction, it seems to mean going without washing your hair for a number of days (I mostly see 3-4). 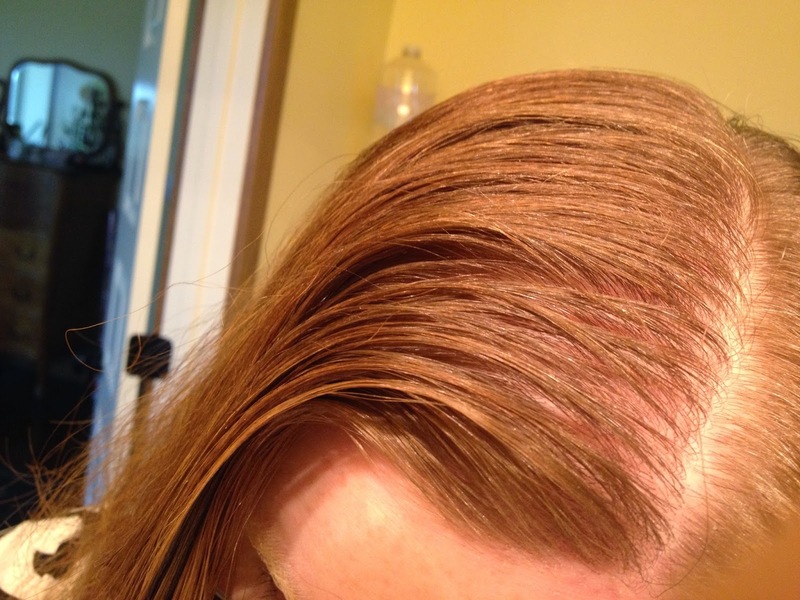 Some background on my hair and why I might be interested in no-poo; I have oily hair and ever since I was 12 or so have tended to get these itchy, annoying, gross sores on my scalp. They pop up in the same places periodically. 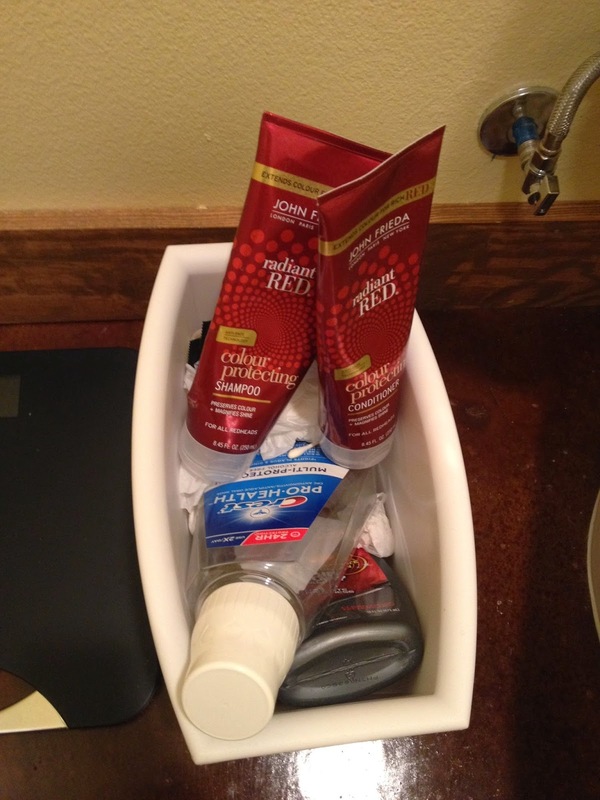 Changing shampoos sometimes makes them go away for a while but they eventually come back. Then I have a (horrible, disgusting) nervous habit of messing with them absentmindedly, especially when I'm stressed. I imagine it is psoriasis or something like that. That's some really personal "closet skeletons" for me to be sharing on the internet because I'm really embarrassed about it. I've tried shampoo bars, natural shampoos, pthal-laural-whatever free shampoos, and while some cause issues faster than others, they all eventually do. I even tried medicated shampoo that left me smelling like an elderly man for several days. If I don't wash my hair every day, it gets oily in a hurry. And even itches. It's nasty. I don't like it. It is naturally a bit wavy. At this point in my life, even though the roots are oily, the ends tend to be a little dry and sometimes even frizzy. I like it best blown dry, but let's face it ... I have two small children and that just isn't always a priority. But it looks better and feels "cleaner" for longer when I do. After a good bit of reading I've decided (since my shampoo is empty anyways) to bite the bullet and try it. I did some research ... meaning I read several blogs, and found this one to be the most helpful to me; perhaps I just trust Beth because she's also a redhead. Everyone does no-poo differently, but after my reading I decided to skip ACV (apple cider vinegar) since I already have 50s rockabilly grease going on and to start with this recipe for hard water. 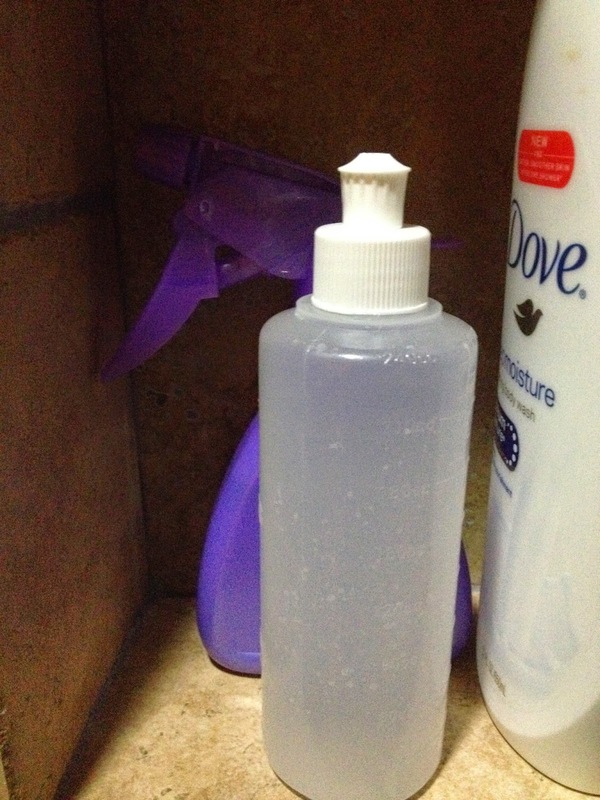 In an effort to use things I already had around the house, I found a peri bottle (for the baking soda solution, to help get it as close to the roots as possible) and a spray bottle (for the vinegar solution). 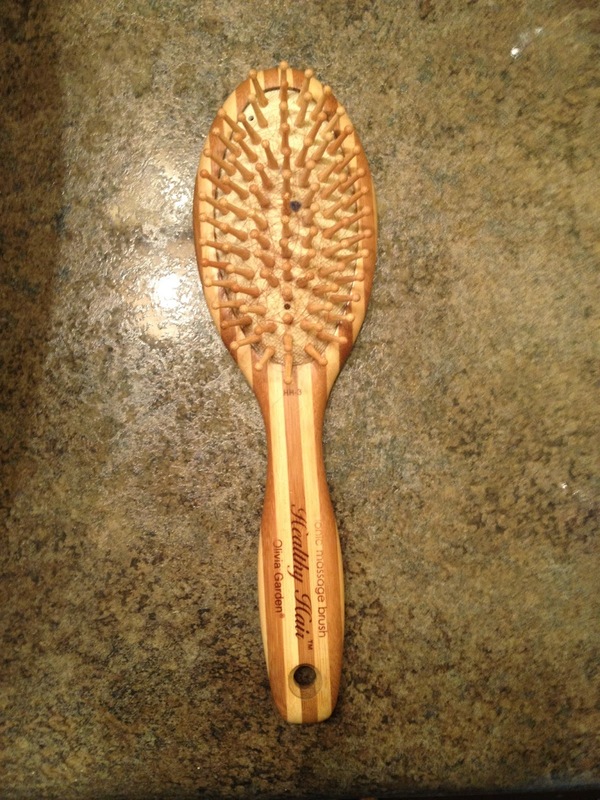 I don't have a boar bristle brush, but at least mine isn't nylon. Even before I decided to make the plunge, I started spending a little more time brushing my hair to better distribute the oils. And ya know what? It actually feels great and is really relaxing to not just whack my head a few times till my hairs are just less crazy. Tonight I'll be washing the no-poo way for the first time. My hair is already kinda gross, because I didn't wash it last night and I've been wearing a hat most of the day. 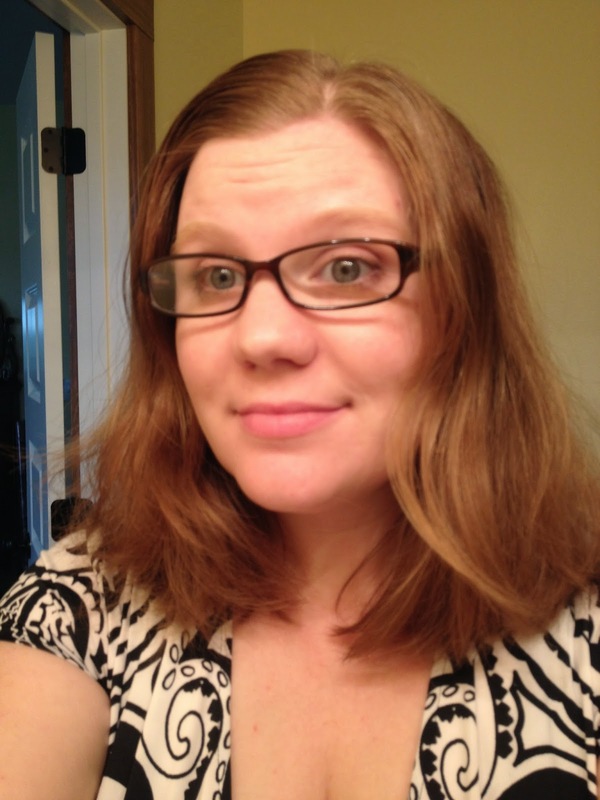 I didn't blow dry it Friday night either, so my "before" is not really a fair picture. This is my hair close to its worst (worst was 5 days with no shower/bath in the Boundary Waters) rather than at it's "traditional shampoo" best. Though I'm not the only one who has done this, it might be helpful to someone so I'll try to update with pictures and my thoughts and feelings. I'm going to do this at least through the end of January. If February 1st comes and I'm hating it and it doesn't look like the dreaded "transition" period (where my scalp should learn I'm not going to strip away all the oils every night and stop over-producing) is every going to end, I'll go out February 1st and buy some shampoo. While I won't be washing my hair every day, I DO plan to wash my body. 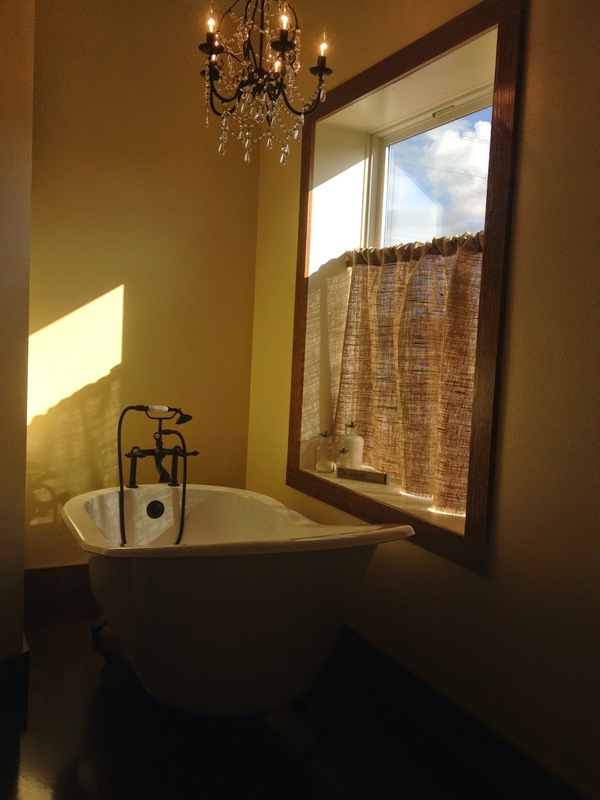 I'll either use a shower cap (bleh) because I enjoy our nice new rain shower head ... or I'll languish in my claw foot tub and look up at my lovely chandelier and pretend my hair doesn't look greasy. I might make this dry shampoo to help get me through the tough times. I was tempted to make some this morning (with corn starch instead of arrowroot since I don't have any) but I don't want to try too many new things at once.